When drains run underground, they usually run in straight lines between inspection chambers (manholes), gullies and stacks. Inspection chambers are found wherever pipework joins and wherever the direction or depth of the drain changes. Drain rod sets are an essential item of plumbing equipment that is used to clear drains that between a house and a main sewer and a reasonable set can be purchased for about £40 (e.g. Draper Drain Rods). Anyone with reasonable practical skills can try to tackle a blockage with rods. However, care must be taken to use them with caution, as drains can harbour a number of hidden obstacles, such as tree roots. Before tackling a blocked drain with drain rods you should make sure that you are protected with waterproof clothing or overalls, waterproof gloves and Wellington boots, consider also wearing a pair of goggles to protect your eyes. Drain rods are usually about one metre in length and screw together to create a continuous line of rods that are flexible enough to enable them to be pushed along the pipework until they reach the blockage. A special disc shaped rubber fitting is screwed on to the leading rod that is only slightly smaller in circumference than the pipework. Typically, made of rubber or similar flexible material when pushed against the blockage and then withdrawn creates a vacuum which pulls the obstruction loose. Sometimes another end piece called a double worm-screw is used to break up stubborn obstructions. You will need to find the first manhole on the drain that exits your property and carefully lift the inspection cover. Sometimes it can be quite a task to lift the cover, especially if earth and debris has gathered on top of it. Remove any earth and deposits from the surface of the cover (you will not want this falling into the drain) and use a scraper to clean around its edge, then use a heavy screwdriver to move it. If the manhole is empty the blockage will be between it and the house, if it is full of effluent the blockage will be further down the line. Begin by screwing together the first two rods and attach the appropriate end fitting onto the first rod. Insert the rods into the drain towards the blockage and add further rods as required. Once the obstruction has been reached the rods should be pushed and pulled until the blockage clears. 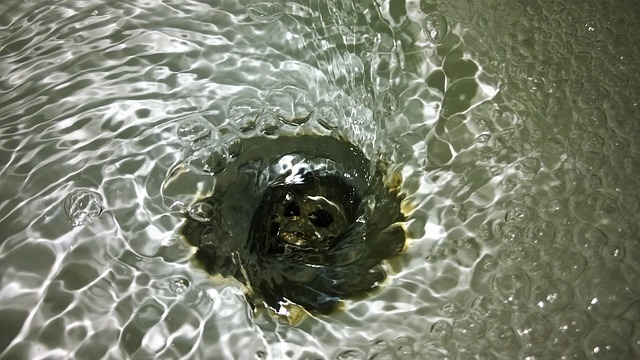 Most drain rods have to be turned in a clockwise direction when trying to clear a blockage because turning them anti clockwise, can unscrew them and leave a rod stuck in the drain, a nightmare scenario that is often very difficult to resolve. Some expensive rods do have locking mechanisms that prevent them from unscrewing by accident. Finally, once the blockage has been removed, plenty of water should be poured down the drain to ensure that it is totally clear. After completing the task, your clothing and the drain rods should be thoroughly cleaned and disinfected so as to remove the risk of infection.